I was going to change the name of this dish to just ‘spaghetti casserole’ because (before I made it) I thought that calling it Million Dollar Spaghetti was a bit pretentious. Well, as you can tell, I didn’t change the name. That’s because, yeah, Million Dollar Spaghetti is the perfect name for it. If you close your eyes and take a bite of this spaghetti you’ll almost think you are eating lasagna. Actually, it’s very close in flavor to my mom’s easy lasagna, a recipe I make and devour regularly. Spaghetti sauce, Italian sausage, pasta, a little Italian seasoning and plenty of cheese. What’s not to love? Million Dollar Spaghetti was a huge hit in our house. We were sad when the last piece disappeared. But not super sad since we knew it won’t be long until we make this again. And again. You can easily change this recipe up to meet your own tastes. Maybe add some fresh mushrooms in when you cook the sausage. Or a few bell peppers. For me, a pinch or two of red pepper flake is always a good idea too. You don’t have to use an expensive jarred spaghetti sauce, either. Good ole Prego (I used Italian Sausage and Garlic) works just great! To really amp up this dish, use my smoked spaghetti sauce instead of jarred. Cook the pasta according to the package instructions. Drain and return the spaghetti to the pot you cooked it in and stir in one bottle of the spaghetti sauce. Set aside. Add the onion and cook for 5 minutes. Crumble in the raw sausage and stir, cooking until the sausage is cooked through. I used a wooden spoon to help break up the sausage while it cooked. Stir in the garlic and cook for 1 more minute. Remove from heat and stir in the remaining jar of spaghetti sauce. In a bowl, combine the Ricotta, cream cheese, sour cream, Italian seasoning and 1 cup of the Mozzarella. Place 8 of the pieces of butter in the bottom of a 9" x 13" baking dish. Place half of the spaghetti mix into the bottom of the dish. Use a spatula to spread it out evenly. Add the cheese mixture and spread out evenly. Add the remaining butter and then add the rest of the of the spaghetti mixture. Spread out evenly. Add all of the tomato sauce mixture and spread out evenly. Add the remaining mozzarella cheese. Bake for 35-45 minutes until hot. Let rest for 10 minutes before slicing. For years and years I have grilled my sausages after they spent some quality time in a ‘bath’ of beer and peppers and onions. And they are great, I admit it. But these kraut-stuffed sausages, well, they’re really beyond great. Tender, moist, and just packed with flavor. Such a wonderful texture in every single bite. I couldn’t stop eating them. Topped with plenty of mustard, these are now my only go-to grilled sausages. You have to use the right kind of sausages to make these kraut-stuffed sausages. Get the fresh sausages, with casings. You need to be able to poke your finger inside to make a cavity for the fantastic (but easy) filling. And unless your fingers are really, really long, don’t get really, really long sausages! I suggested to Anita that we try adding other things to the stuffing, such as chopped roasted jalapenos, or poblanos or the like and she gave me a dirty look. The “don’t mess with this” look. So I won’t. Also try my bratwurst bath. Perfect for getting brats ‘happy’ before grilling them. Using your fingers, make a hole down the center of each sausage, creating a cavity that runs the full length of the sausages. Melt the butter in a large saucepan over medium-high heat. Add the onion, kraut, and a bit of the juice from the kraut jar. Stir and let cook until the onions are softened. Remove from heat and let cool completely. Stir in the cheese. It won't melt but it will help bind the kraut mixture together. Fire up your grill for indirect cooking. Using your hands, grab some of the kraut mixture and force it into the cavity in the sausages. Just keep packing it in. Don't worry about being all pretty and what-not, just get it in there. But don't shove so hard that you have a blowout! Place sausages over indirect heat on the grill and cook for 30 minutes until nice and dark and done. Add cooked sausages to the buns and top with plenty of mustard. These Italian sausage sandwiches have become somewhat of a tradition in our house around New Year’s and the Superbowl. I make a nice big batch of them and let them slow cook either on the stove or in a slow cooker, ready to eat at any time. Perfect eats for watching football games, specially college bowl games. Spicy sausage with a flavorful tomato sauce loaded with peppers, onions, and mushrooms. All topped (of course) with ooey-gooey cheese. I’m not sure I’ve ever made my Italian sausage sandwiches exactly the same way each year. Sometimes I go the spicy route, sometimes I use sweet sausages. Sometimes I add more bell peppers, sometimes I just add more mushrooms. It just kind of depends on how I feel that day. If you don’t mind spicy, add more red pepper flake and a good amount of hot sauce. 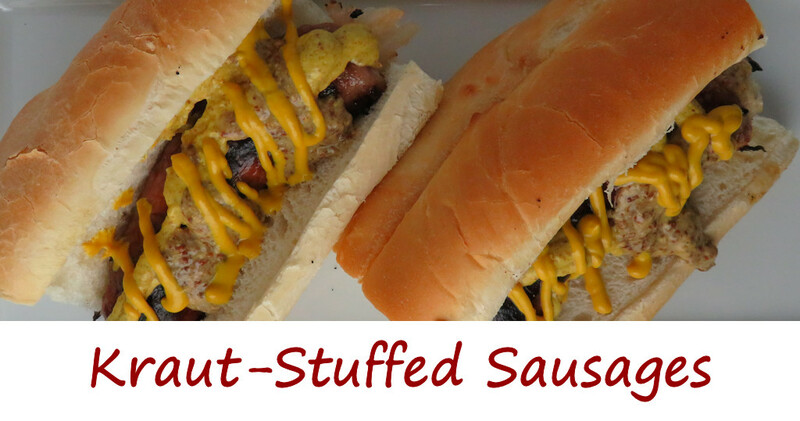 Also try my other version of Italian sausage sandwiches, all fantastic:version 1.0 and version 2.0. Place the pizza and tomato sauces into a large pot over medium heat. In a large Dutch oven, heat a splash or two of oil over medium-high heat. Working in batches, add the sausages, browning on all sides. Transfer browned sausages to the pot of sauce. Add more oil to the Dutch oven and add all of the vegetables. Saute until just starting to get soft, then transfer to the pot of sauce along with the sausages. Season with salt and pepper, Italian seasoning and red pepper flake. Cover, reduce heat to medium-low and simmer for 5-6 hours, stirring occasionally. Slice the bread in half. I prefer to do this by cutting a 'V' down the top of the bread, making a trench for the sausages and sauce. I find that the bread doesn't split so easily this way. I also remove some of the bread inside just to make more room for the great toppings. Cut bread into lengths a tad shorter than the sausages. Add meat and top with sauce and a little bit of the vegetables. Top with cheese and place on a sheet pan under the oven broiler just long enough to melt the cheese.